The latest in airline supply Safe Breathing Air Reducers for safe long duration entry times. Air trolleys and compressor systems for airline supply available locally. 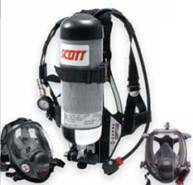 Supplying marine industry needs with effective, quality, low maintenance Emergency Escape Breathing Device’s or EEBD. Service and Support for EEBD which comply with Australian and International Standards is available at our Cairns service centre.